ATLANTA–(BUSINESS WIRE)–Robinson Weeks Partners (www.RobinsonWeeks.com), an Atlanta-based real estate development and acquisition company, today announced plans for Memphis Global Crossing, the city’s first speculative industrial space in more than a decade. 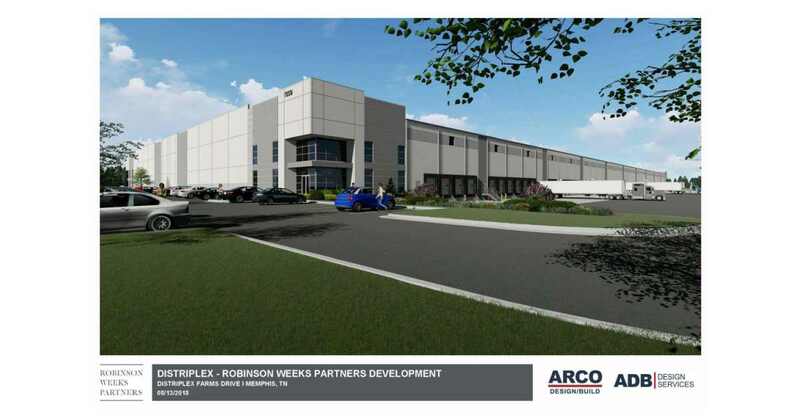 “There is pent-up demand for a new, modern, Class A logistics facility in Memphis proper and Robinson Weeks has designed the perfect envelope to attract an employer to this site,” said Kemp Conrad, Principal of Cushman & Wakefield | Commercial Advisors, LLC, whose team will be handling the leasing of the project. The Memphis Global Crossing site is located at the southeast corner of Distriplex Farmers Drive and Global Drive within the Distriplex Farms master planned development. The site is located 2.5 miles from the BNSF Intermodal Facility, eight miles from the FedEx Hub at Memphis International Airport and two miles from Highway 78 (Lamar Avenue). Robinson Weeks Partners plans to begin construction in September on a 421,470 SF speculative development, known as Memphis Global Crossing. The building will feature 32’ clear height with cross dock loading and 185’ truck courts. To accommodate regional and national distributors as well as e-commerce fulfillment users, the building will have 124 trailer parking spaces, 204 auto parks and 127 dock doors.